PRO Construction is a subsidiary of W.T. Humphrey and is the general construction arm of the organization. From its headquarters in Jacksonville, North Carolina, PRO Construction works throughout the Southeast and has grown to be recognized as a premier local and regional builder. 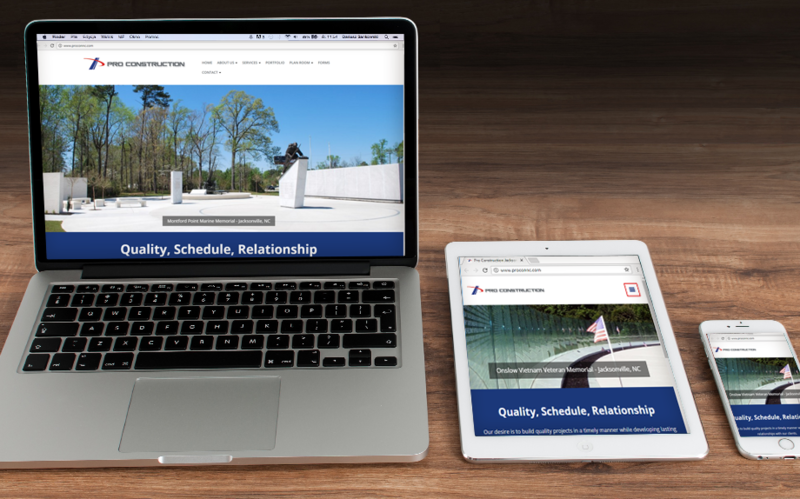 The launch of a redesigned, responsive website enables PRO Construction to manage bid documents, sales information and accommodate mobile users easily.